Today, Facebook app discovery too heavily favors the loudest apps with the most users, so Facebook today announces it will soon launch the App Center, a single, personalized hub for discovering the highest quality Facebook-integrated games and utilities from across the web and mobile. And for the first time, Facebook is beta testing the option for developers to sell pre-paid web and HTML5 apps. You’ll be able to access App Center via the web or mobile, and you can send apps you discover on a the web to your littler devices. 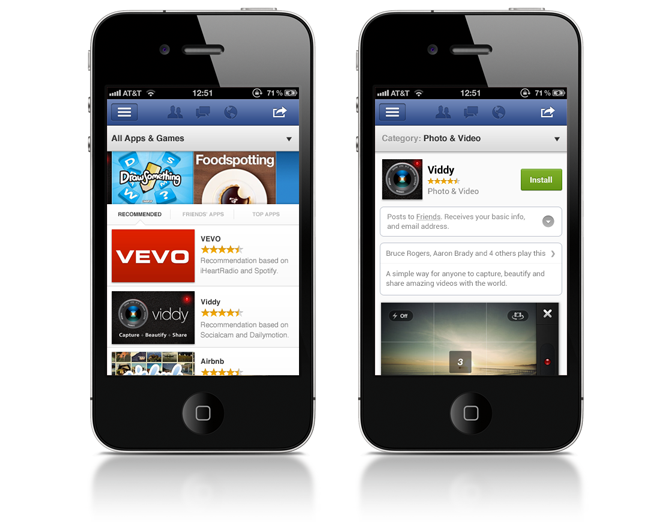 App Center could be a huge boon to app growth on Facebook, especially for those that are beloved but not inherently viral. With any luck, App Center will usher in an age where your news feed is filled with apps you actually want use, not just the spammiest ones or those with the biggest marketing budgets. Unlike the unpersonalized app directory Facebook shut down a year ago, App Center won’t list every available app, just the ones with the highest customer ratings, engagement, session length, and voluntary sharing. App Center dynamically shows you different apps depending on your habits. If you play games, that’s what you’ll see. If you think those are a waste of time and only use utility apps like BranchOut or Open Graph apps like Foodspotting, those will be what appear. Facebook is finalizing the App Center’s design. However, it looks like the homepage will show apps recommended based on those you already uses; apps frequently used by friends; lists of top, trending, and highest grossing apps, big “app of the week” style features, and the ability to browse by app category. Unlike the Apple App Store and other marketplaces, Facebook’s App Center won’t have objective rankings. Instead, each user will see a different set of apps, so it won’t have the same “king-maker” potential. This should lead developers to focus on general quality rather than install count or other specific metrics. The signals the cause certain apps to appear more or less frequently in App Center to any particular user include a customer ratings, session length, return visits, frequency of user shares from the app, similarity to apps you already use, usage by friends, and spam reports as well as overall user counts. 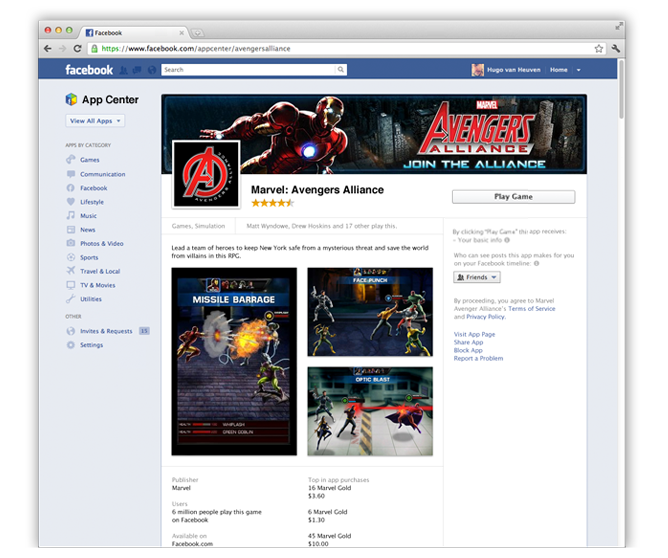 App Center listings will replace the auto-generate App Pages that litter Facebook now. Developers will need to submit assets to populate their listing, which is what users will land on when they find an app through search or the App Center. Apps that following the listing guidelines and that are submitted before May 18th will receive priority for appearance when the App Center eventually launches. 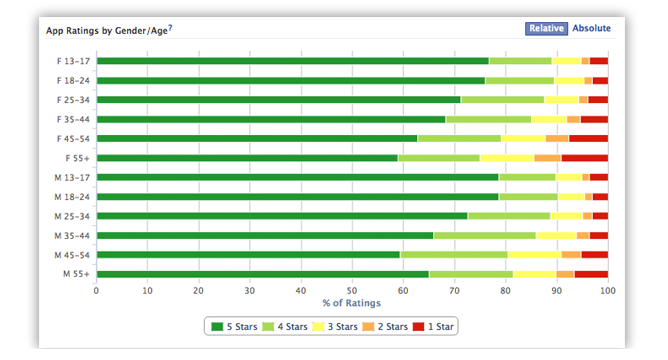 Developers will gain a new category of Insights metrics measuring the quality of their apps. They can monitor these to see how changes they make impact the enjoyment and engagement of their users. Facebook is not trying to compete with iOS and Android, but rather helps Facebook-connected apps on those platforms grow. Native mobile app listings in App Center will lead to the Apple App Store and Google Play marketplaces.